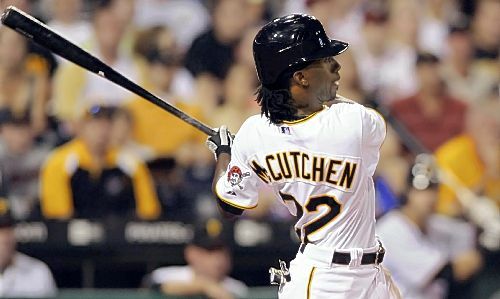 Why don’t people know more about Andrew McCutchen? Maybe it’s because he plays in small-market Pittsburgh on a team that has lost more than any other team in professional sports history. Maybe it’s because his calling cards are his on-base percentage and defensive value expressed by statistics, which are not household stats in baseball yet (although OBP is very close). It might be because on April 28, nearly a month into the season, McCutchen was hitting .202/.317/.348 with only 7 extra-base hits (four doubles, three home runs), 10 runs batted in, three stolen bases and three times caught stealing in 23 games. 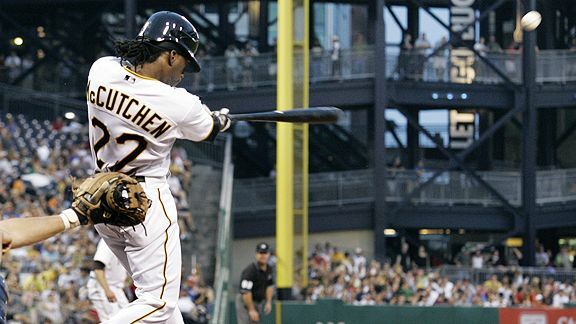 Whatever the reason is, Andrew McCutchen is the best player America has never heard of, a player who the fans did not know enough about to vote into the All-Star Game, who then was left off of the Final Vote ballot by Major League Baseball before finally being named as a replacement All-Star by National League manager Bruce Bochy. In the 66 games after that slow start, McCutchen is hitting .322/.416/.566 with 18 doubles, four triples, 11 home runs, 46 RBIs and 12 stolen bases while being caught just twice. 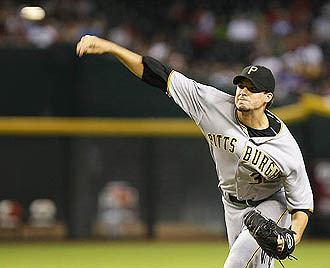 He has led the Pirates, who have suffered through 18 consecutive losing seasons, into first place in the NL Central. 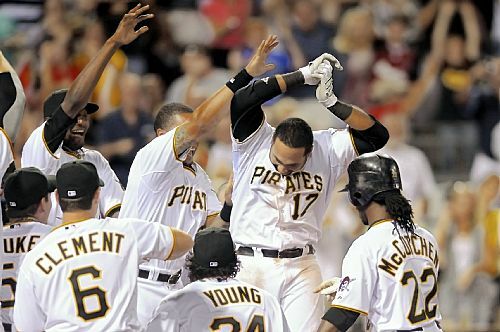 It is the latest into a season Pittsburgh has been in first place since July 17, 1997. 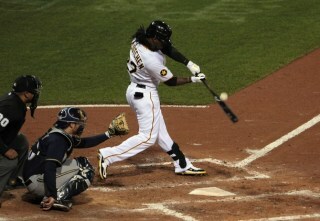 Andrew McCutchen does almost everything on a baseball field. He is a legitimate five-tool talent. He can hit for average while also being a disciplined hitter who can get on base by working out walks. 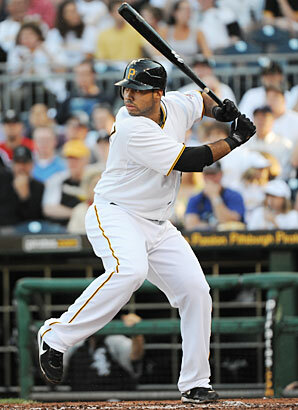 At 24 years old, he is developing power at the plate, as he is on pace to hit 25 home runs this year. He may not be a basestealer of Jose Reyes’ caliber, but McCutchen’s speed and baserunning ability allow him to not only steal bases but more importantly, go from first-to-third on a single better than anyone in the game. Defensive metrics, as mentioned above, prove McCutchen to be possibly baseball’s best defensive outfielder. McCutchen also possesses an above-average arm in the outfield that has improved immensely throughout his three years in Pittsburgh. McCutchen’s talents might make him arguably the most valuable player in baseball, as he has the most wins-above-replacement (WAR) than any player in the National League when both Baseball-Reference WAR (5.2) and Fangraphs WAR (also 5.2) are combined. There are many reasons why Andrew McCutchen may not be known as a superstar around baseball, but he is slowly working his way there. 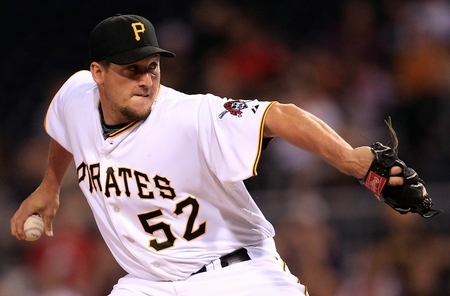 At 24 years old, the former first-round pick is living up to his potential as a five-tool player while leading the Pirates in what has been a magical season so far. 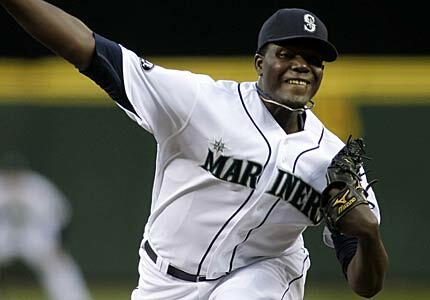 He is truly one of the game’s most exciting and most talented players, yet only baseball’s most religious fans are familiar with that. 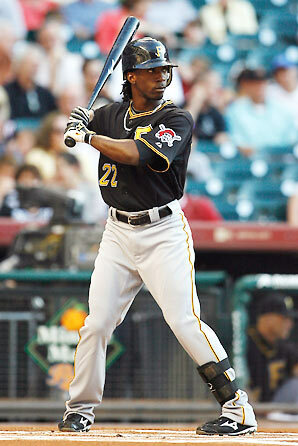 Andrew McCutchen is quite simply the best player America has never heard of.